If you thought things couldn’t get any worse for the Pitt men’s basketball team, think again. Last time the Panthers played at home, they suffered their worst loss in the 14-year history of the Petersen Events Center: a 72-46 pounding against Miami. They more than doubled that 26-point defeat in a humiliating 106-51 blowout loss against the No. 13 Louisville Cardinals Tuesday night. “That’s about as disappointing of a performance as I could possibly imagine,” Pitt head coach Kevin Stallings said after the game. Pitt suffered its most lopsided loss in 111 years and second-most lopsided defeat in school history, behind only a 106-13 thrashing against Westminster back in 1906. Pitt’s 33-point halftime deficit tied for the largest in program history and was the team’s largest halftime deficit in a home game and conference game. Pitt’s 55-point margin of defeat was the largest in ACC history for a home team. Pitt’s four made field goals in the first half tied for the team’s fewest made field goals since the NCAA’s introduction of the shot clock in 1985. Pitt’s .160 first-half field goal percentage was third-worst in program history. The list could continue, but we might run out of space. Things already looked bleak for Pitt entering the game. The undermanned Panthers came in having lost four straight games overall and nine consecutive matchups against the Cardinals, though they nearly pulled off a miraculous comeback on Louisville’s home court just 13 days ago. The Cardinals led by 26 in that game before Jamel Artis’ 43-point performance pulled the Panthers back to within five. But Louisville still came out on top, 85-80. This time, Pitt was lucky to reach 43 points as a team. Stallings openly questioned the resolve of his team after the game, one day after he expressed disappointment in team leaders and seniors for their lack of leadership at Monday’s press conference. The Panthers have made several valiant comeback attempts this season, but there would be no 40-point heroic second-half performances this time. When they fell behind by 26 in the first half, there was a sense the game was already over. Things only got worse for Pitt in the second half with the score resembling more of a Connecticut women’s basketball game than an ACC contest. Like many of the fans who started heading for the exits, Stallings had seen enough. Referees gave Stallings a double technical foul for arguing a call and ejected him from the game with just under 15 minutes left in the second half and the Panthers trailing by 41 points. 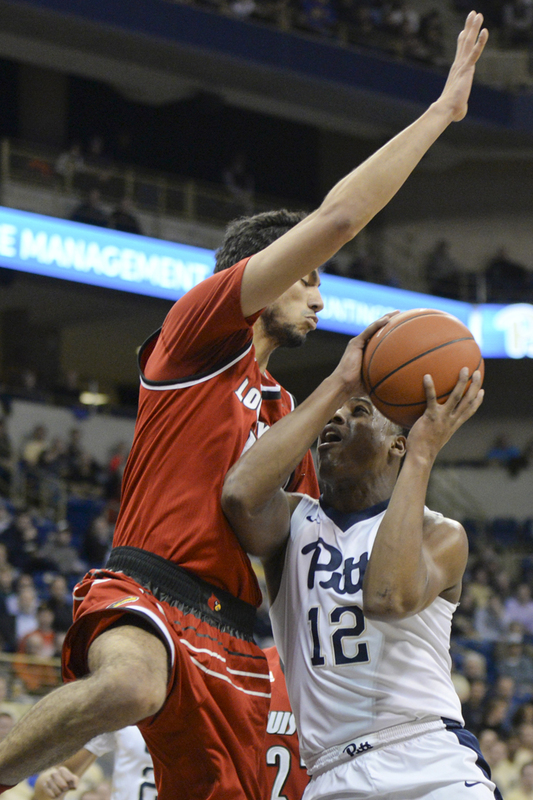 Louisville head coach Rick Pitino pulled his starters midway through the second half, but the Cardinals’ bench refused to let up the assault — perhaps a result of Pitt’s comeback attempt last time these two teams played. Louisville continued to rain down threes and uncontested dunks in the final 10 minutes with the game already well out of reach. Despite effectively putting an end to Pitt’s chances of making the NCAA Tournament, Pitino doesn’t think the Panthers are buried just yet. Pitt’s coach, on the other hand, isn’t nearly as optimistic about his team’s future. After the game, Stallings sounded unsure whether he’s lost control of the team. “I sure hope not,” Stallings said. If he has to wonder, chances are it’s already too late to try to repair a broken team and lost season.